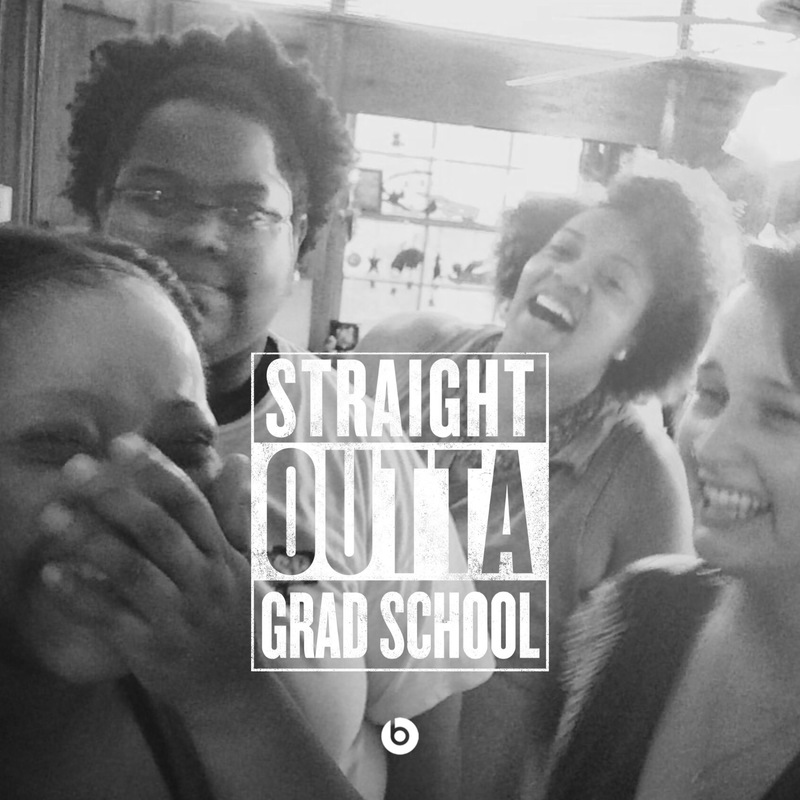 Me and some of my favorite future PhDs. #Cubenation, hold it down. I’m almost certain when I look back in a few years I’ll have some trendy name (e.g. “Bluppie Beginnings” or something like that) for this summer of transition. There have been many changes — endings, shifts, new beginnings — in less than 15 weeks. I finally completed grad school, left my doctoral internship of four years, and moved all the way to Texas to begin a new career. At this point, almost every day is a blur. However, it hasn’t been lost on me that this is, and has been, the goal. This very moment. This phase. It’s what I’ve been working for: I’m in motion. Weeks ago, I sat in on a brilliant master’s thesis defense by Jess Hennenfent. Jess’s thesis, “Socially Me,” was an auto-ethnography that uncovered some important intersections of identity(-ies), performance (dramaturgy), and social media. The discussion that ensued during the defense was as brilliant as her project sounds. At one point the committee was tackling the issue of taking risks online and in our writing when one member, Dr. Acosta-Alzuru, shared that she believed one text in particular gave Jess permission to take risks in her writing. She said, we often say that we are “inspired” by something we read or see to pursue our own hidden interests, but what we really mean (sometimes) is that what we observed somehow gave us permission to pursue an idea that we previously were on the fence about. At this point in the conversation, my brain began to spiral around the tangent of this incredible observation. In my opinion, both concepts are powerful. I have been, and remain, adamant that social media’s greatest utility rests in how we use platforms to exchange information, ideas and stories. I previously wrote that it was a blog post that “inspired” me to pen my first piece for Chronicle Vitae. However, as soon as Dr. A made her remark I knew that the author’s courage had given me permission to publicly expose my vulnerabilities — just as she had done through her writing. Here’s what I love about social media: its ability to connect people with others.